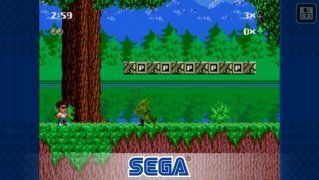 8 and 16-bit video consoles of the likes of SEGA's Mega Drive or Nintendo's NES and Super NES offered us great platform games back in the 80s' and 90s'. 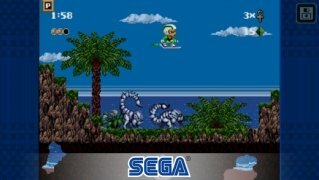 A period that was very productive for this genre and that left us titles that are now part of video gaming history, such as Mario Bros. and Sonic. These are the two most emblematic games from back then but that are many more that are also worthwhile and that offered hours on end of entertainment sitting in front of the screen with our gamepad in our hand. 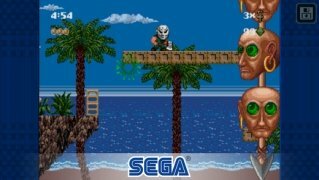 One of them was Kid Chameleon, a SEGA game in which we controlled a boy capable of transforming into different things depending on the masks he wore. One of the best platform games of the 90s'. 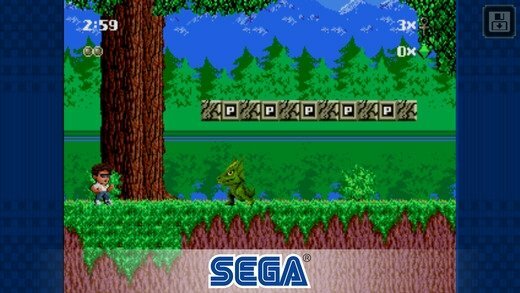 Well, the Japanese company has remastered the game for mobile devices so we can now download it for iPhone and also in APK format for Android from the App Store and Google Play. Now there's no need to search for its ROM and load it on MAME or any other similar emulator to be able to play one of the best platformers of all time. Over 100 levels with dozens of hidden areas. Save the progress of your games. Collect 9 different masks, each one has a different power. You don't need to be online to play as it doesn't require an Internet connection. 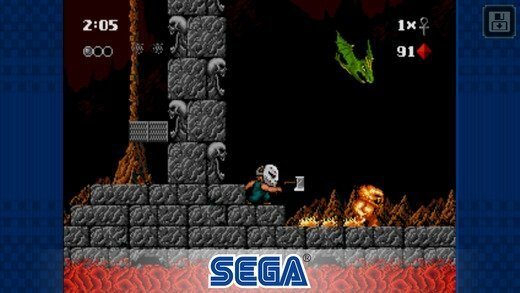 The game has been released with the collection of classics that SEGA has re-edited for smartphones and tablets and that goes by the name of SEGA Forever. Here you'll find titles several decades old that back then were hits on different platforms (video console, PC, arcade machines...). A great opportunity to bring back those classics that have survived the passing of time.